A modern take to an old, historically significant fisherman's cottage which has been renovated recently. Perfectly suited for all who enjoy a break away in this quaint sea-side village of Kalk Bay. The cottage is in close proximity to the amazing care-free Kalk Bay life. Wander down to your choice of trendy sea-side restaurants, shops and bars to soak up the dynamic Kalk Bay atmosphere or enjoy a refreshing dip in the many tidal swimming pools or beaches found along the False Bay coast. 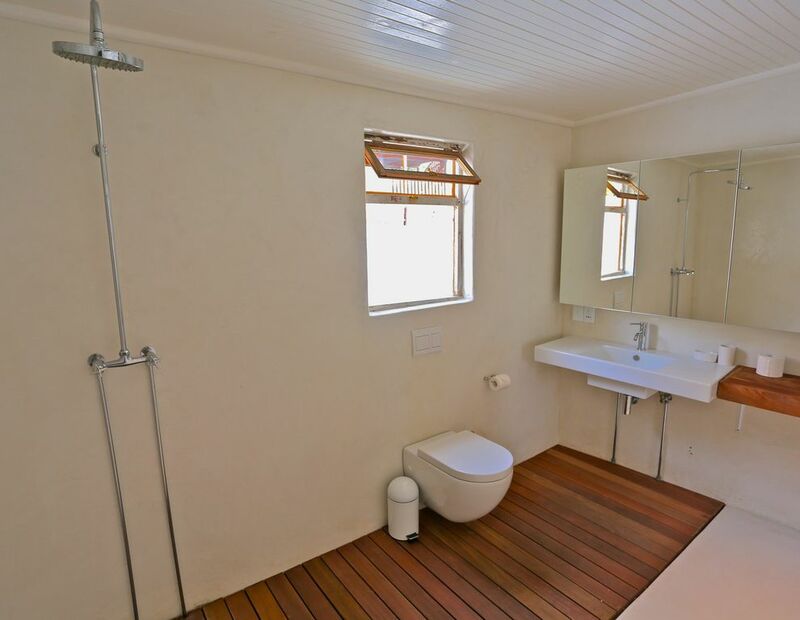 Found on the slopes of Boyes Drive, it has 2 beautiful bedrooms, both with en-suite bathrooms. The rooms are furnished with one double bed and one 3/4 quater bed, both decorated in a modern uncluttered way, yet simple enough to make you feel at home. A flat screen TV can be found in the dining area with a compact view DSTV package. The cottage is open plan with a modern take on a kitchen with an industrial feel. Wi-Fi is accessible throughout the cottage. The old Fisherman's Cottage is located in close proximity to the world-famous Olympia Café and Bakery, promising divine breakfasts with fresh croissants and pastries.